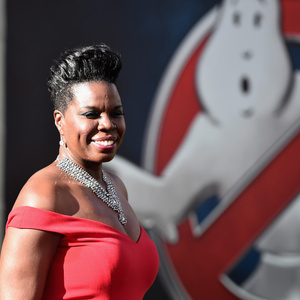 How much is Leslie Jones Worth? Leslie Jones net worth: Leslie Jones is an American comedian and actress who has a net worth of $5 million. Leslie Jones first gain widespread recognition as a cast member on Saturday Night Live. She is also known for starring in Ghostbusters III. Leslie Jones was born on September 7, 1967 in Memphis, Tennessee. Her family moved around a lot because her dad was in the Army. She eventually settled in Lynwood, California where she attended high school. She earned a basketball scholarship to Chapman University but eventually transferred to Colorado State University. She first did standup comedy in 1987 after a friend signed her up for a "funniest person on campus" contest, which she ended up winning. Several high profile comedians like Dave Chappelle convinced Leslie to move to New York City where she honed her craft at local clubs and showcases. In 2010 she was chosen to be an opener on Katt Williams' tour. In 2013, Leslie was hired as a writer on SNL. 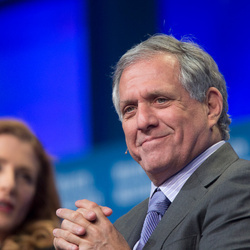 She made her first appearance on the show in 2014 during a Weekend Update segment. She also has appeared in commercials for Allstate Insurance. Saturday Night Live Salary: There are 21 episodes in a season. First-year cast members make $7,000 per episode, or $147,000 per season. Second-year cast members make $8,000 per episode, or $168,000 per season. If a cast member makes it to their fifth season, they make $15,000 per episode, or $315,000 per season. The highest salary that can be reached at SNL is for people who've been there the longest or are the most important to the show. They make $25,000 per episode, or $525,000 per year. It is likely that Leslie Jones' salary is on the mid to higher end of that spectrum.